We’re here at Manchester United Football club getting ready for Vendex Exhibition tomorrow. We will be closing for the festive season on the: 20th of December 2012 and will reopen on the 2nd of January 2013. We hope all our customers have a great Christmas and look forward to working with you all in the new year. 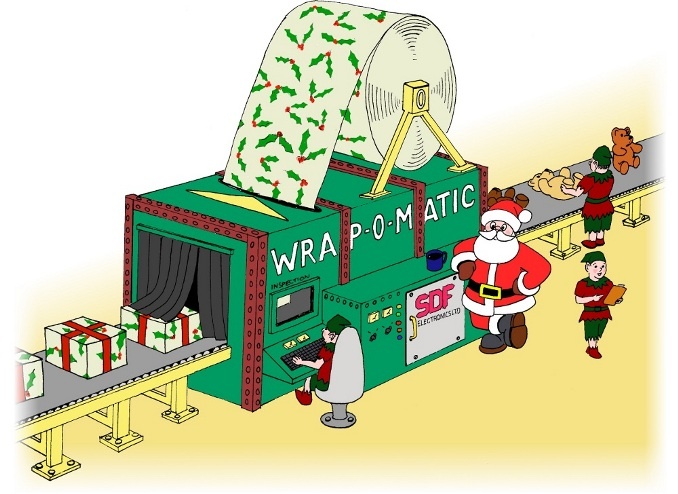 Merry Christmas from everyone at SDF Electronics Limited! Happy New Year to our customers. We will be back for business bright and early at 9am on Tuesday the 3rd of January. We will be closing for the Christmas holidays at 5pm on Wednesday the 21st of December and will reopen at 9am on Tuesday the 3rd of January. We wish all our past, present and future customers a Merry Christmas and Happy New Year. We have now added a new product to our range. The VendTag board is a simple cashless vending system capable of being fitted to a wide variety of vending machines. For more information, go to our VendTag product page. A Merry Christmas and Happy New Year to all of our customers. Details of our holiday shut-down. We can now provide contract manufacturing services for PCB Assembly, cable assembly and mechanical assembly. For further details follow this link.